Are you thinking about planning a family camping trip before the cold weather settles in? Maybe you are thinking about next year and want to commit to getting outdoors by blocking off time now before next year's calendar fills up? 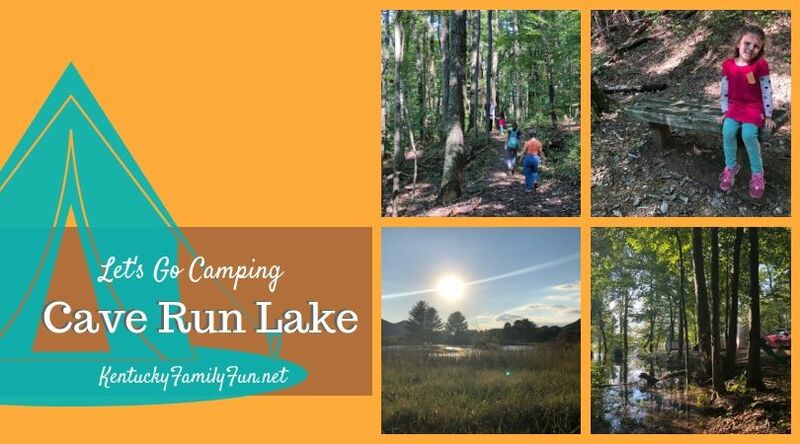 If you are looking for a camping destination, we suggest you consider a trip to Cave Run Lake. Cave Run Lake is about a one and a half hour drive east from Lexington towards Morehead at the foothills of the Eastern Kentucky mountains. The Ziplo Recreation area where you can camp is located on a 355-acre wooded peninsula on Cave Run Lake and is 15 minutes south from I-64 off of Hwy 801. What will you find there? When the water is not high, you will find a beach along with hiking trails, fishing, boating, and safe wide roads to bike on. You will also discover that the staff of Cave Run Lake are committed to making your experience safe, relaxing, and well supplied. There is a store located near the beach and the main parking area which also houses a laundry. With at least 172 campsites divided between 10 sections, families will likely make new friends while camping at Cave Run Lake. Despite the number of campsites the wooded acres and changing topography of this campground provide a wide variety of site types making it difficult to choose favorites. However, if you are comfortable camping beside the water and like quick access to fishing, we recommend the following sites: D - sites 16 and 14, E - sites 9, 10, & 12 or F- sites 19 through 28. For those of you who may not like tent camping, consider renting a camper. Sites like Outdoorsy.com make it easy to plan to stay in a camper. Businesses like Wild Cat Adventure Rentals, will set up the camper for you and make it easy for those of us who may be less excited about sleeping in a tent. Shop around for the best deal. Wild Cat Camping requires a deposit but if the campers are left as they were found, deposits are returned. As you are preparing for your trip to Cave Run, keep in mind that you should Be Bear Aware. Although, bears are typically only spotted near the campground once a year. The last spotting was on September 8, 2018. Finally, we recommend that you plan a meal at Pop's Southern Style BBQ. It is on the sweeter side but still delicious and there are plenty of choices for kids. For starters, we recommend the cheese sticks or homemade beer cheese with a pretzel.